It’s amazing how after about 2 months postpartum, you seem to get your groove back bit by bit. At almost 6 months after having baby, I’ve gotten a lot better at schlepping around all my work, baby, and mom gear. 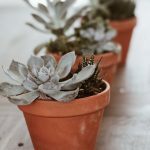 In hopes of helping out other rookie mommies, I’ve put together some life hacks for moms. Repeat after me, YOU HAVE GOT THIS. Rock it, momma! That’s right…this is your Cliff’s Notes version of Life with Babies for Dummies. Haha! Is that a real book? If so, I need it in my life. 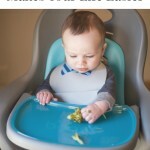 Since I know you are a busy, multi-tasking mom and don’t have much time for fluff, let’s get right down to business. 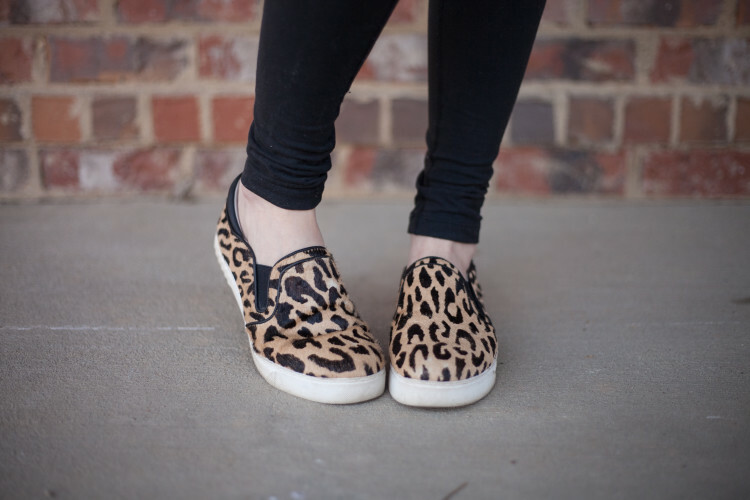 Invest in one rocking, comfy pair of awesome shoes. These are shoes that make you feel trendy and fun while still allowing you to be a pack mule with baby bags, car seats, baby, and a constantly dropping paci. Always keep a set of workout clothes in your car. There have been countless times where I didn’t think I’d get to squeeze in a workout that day, but low and behold I had a few extra minutes between meetings, the babysitter could stay a little longer than she thought, or my co-workers have invited me to a lunch time workout. Be prepared, it’s amazing how much 20-30 minutes of exercise can do for you! Let your husband bottle feed. 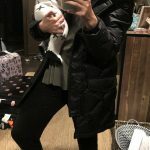 Even though I am still breast feeding, we started very early on having Eric feed the baby a bottle at night so that the baby would get used to a bottle and we knew how much he ingested so hopefully he’d stay fuller longer. This allows mom to get in some extra girl time or at the least get lost meandering through Target for a mental break. The secret to keeping your cool….read below. 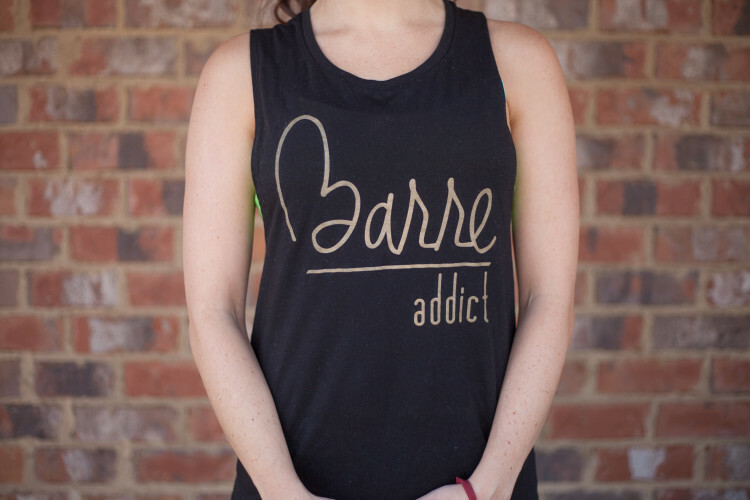 If you are like me, you have your fair share of black workout tanks, and between dropping off kids at daycare, rushing to work, and getting to Pure Barre, I typically end up a little sweaty and stressed trying to get it all done. 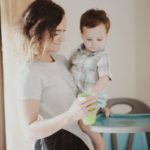 Luckily, I’ve found a new favorite accessory that I swear by to help me keep my cool as I pack and re-pack my gym bag, purse, and diaper bag to get everything we need. It’s Dove’s new Dry Spray Antiperspirant! I have tried the chamomile, the beauty finish and even the men’s line. I fell in love with this dry spray long before they even asked me to partner with them! 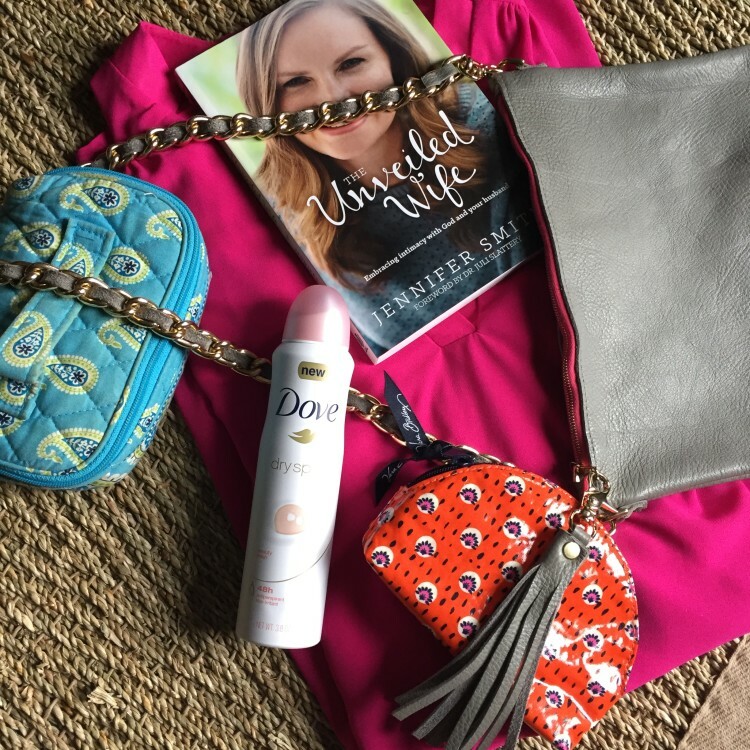 Dove Dry Spray Antiperspirant doesn’t leave residue on my favorite black workout tanks that I mentioned earlier and it helps you keep your cool even when you feel those stressors kicking in. 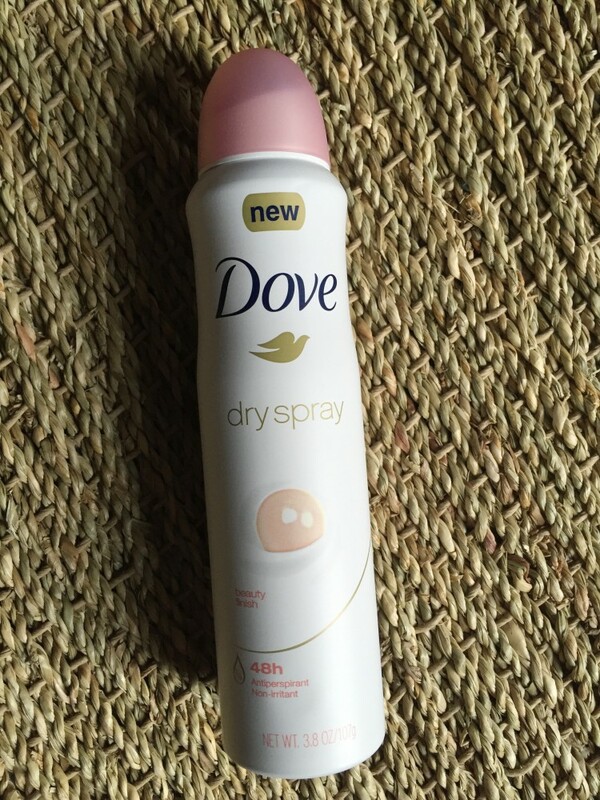 Dove Dry Spray Antiperspirant is the latest beauty trend you don’t want to be the last to try! It goes on instantly dry with no visible residue while providing 48 hours of odor and wetness protection and Dove ¼ moisturizers for softer, smoother underarms. 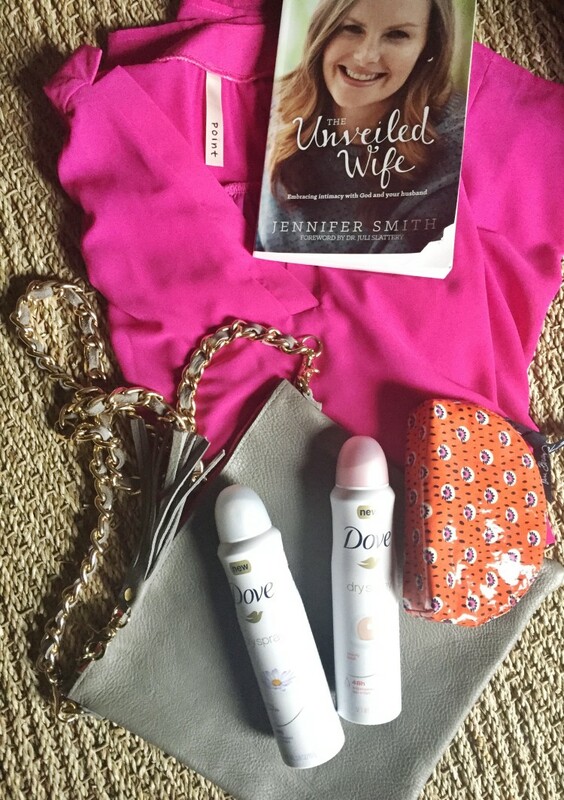 Go to Dove.com/trydry to see all the fragrance options from Original Clean to Cool Essentials. #TryDry sounds like a win/win, right? 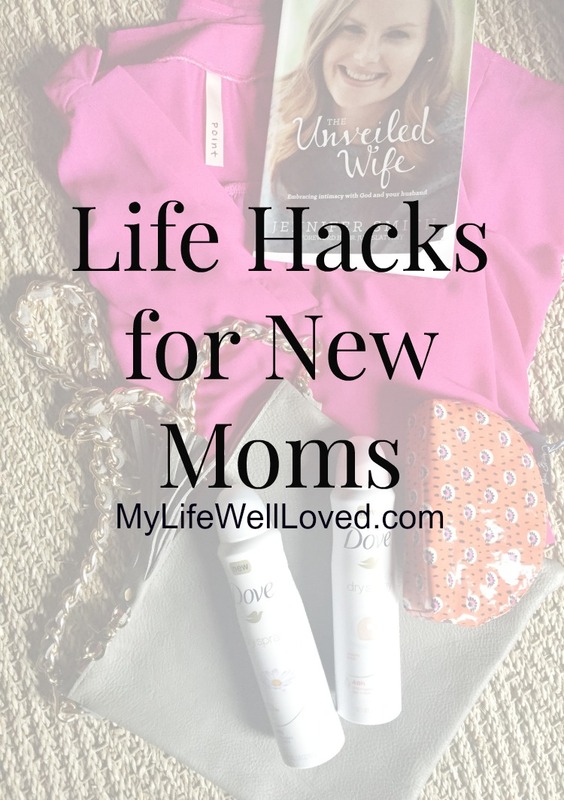 Now that I’ve shared my Life Hacks for Moms with you, I’d love to hear yours!! Please leave me a comment below.